Who knew photo printing could be so simply smooth, and so rewarding? The Photosmart C4180 All-in-One makes your printing, copying, and scanning a breeze. You view images on the large, 2.4" display. Our highly affordable photo All-in-One, the Photosmart C4280 is ready to bring you beautiful, true-to-life photos straight from your camera, without a PC. Just preview your shots on the 1.5" display and send to print. Print, scan, and copy photos and documents, plus print customized designs on CDs and DVDs, with the fast and efficient HP Photosmart C5280 All-in-One. 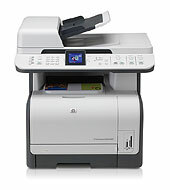 You'll get true-to-life color photos and professional-looking documents with laser-quality text. Our home-network-ready Photosmart C6280 will give you lab-quality photos and reprints, laser-quality documents"on one side of the page or both"and first class scans. It will let you print Web pages without cutting off the edges. 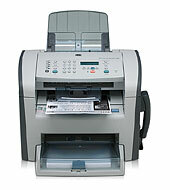 Satisfy your office needs by combining fax, copy and scan capabilities with high-quality laser printing. 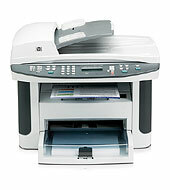 Just about everything you need is in the HP most affordable multifunction laser printer. It's a high-end fax machine that can do so much more. 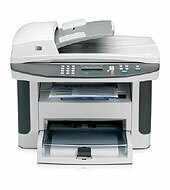 Produce effective prints, copies and scans with a multifunction laser printer. 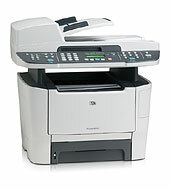 It combines excellent value with performance into one reliable and easy-to-use multifunction printer. Perfect for your business or department.